The idea that the Earth is ‘Flat’ is, in fact, a relatively new theory. In fact, before anyone came up with the idea we live on a flat plane, people knew very well the Earth was round. Even though there are countless images of our planet, and numerous videos which have been recorded from space, there are still some who argue the Earth is in fact flat. One of them is a Ph.D. student who rocked the Arab scientific community when she presented her thesis claiming the Earth is FLAT, stationary, the center of the universe and only around 13,500 years old. Yup, you read right. Not only did she suggest we live on a flat Earth, she also rejected scientific theories presented by Newton and Einstein, astronomical discoveries made by Copernicus and Kepler, the Big Bang theory, atmospheric and geological activity, most of modern climatology, and basically all other scientific teachings made in the past. According to an article written by the Gulf News, the student presented her thesis after a staggering five years of work. Eventually, it was submitted to two assessors, thus passing the first stage of approvals. The reports were expected soon, for the thesis defense to be scheduled. This ‘shocking’ doctoral thesis suggests that the planet we live on is flat, very young and that it remains stationary in the MIDDLE of the universe. Furthermore—if that wasn’t enough—the thesis claims that the Sun has an average diameter of 1,135 kilometers and NOT 1.4 million km. The moon has a width of 908km, and are located 687 and 23 times closer to Earth respectively. In addition, the thesis claims there are 11 planets and STARS in the sky are LIMITED in number and have a diameter of 292 kilometers and not millions of kilometers. In the meantime, the President of the Tunisian Astronomical Association somehow managed to get his hands on a leaked copy of the thesis, proving it was not a hoax and posted in on Facebook. As noted by Gulf News, many people consider these claims ridiculous, and scandalous since the thesis firmly rejects ALL modern science. Others, however, have found it extremely disturbing since the thesis was written by a Ph.D. science student, and the professor is the ‘highest’ in academia. So the real cover-up is how NASA / Hubble have doctored ALL of the off planet images of Earth and other planets. And when will one of the 'Flats' spearhead an expedition to find the edge of the Earth. I mean it seems like a no brainer to go the edge, take a few photos and voila...the proof or not. 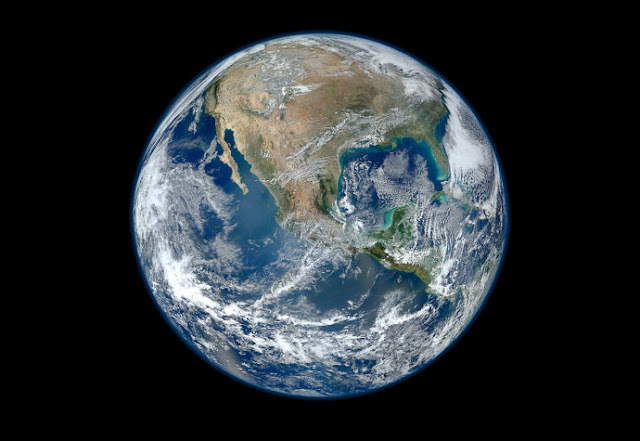 There are countless images and videos of our planet which have been recorded from space proves that earth is round. https://qanda.typicalstudent.org/ is a site where you van clear all your doubts about this fact.